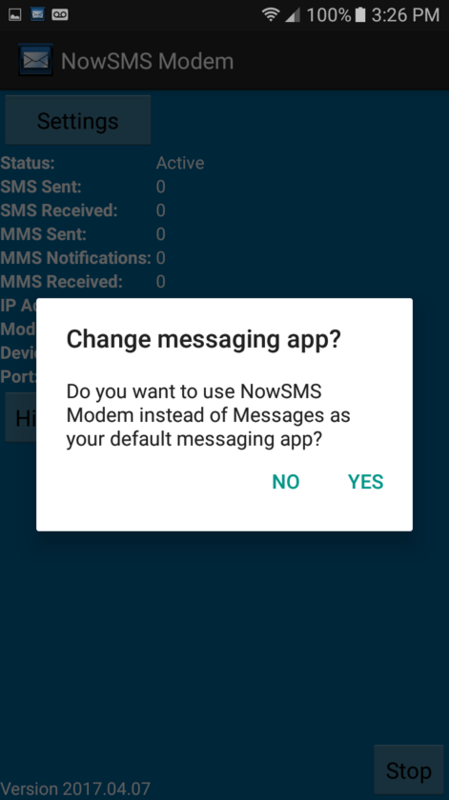 The NowSMS Cloud Edition is a quick and efficient way to create SMS and/or MMS applications. As a hosted service, we provision a separate NowSMS server with a unique secure web address for each customer. An app is installed on one or more Android phones to connect the phone(s) to your NowSMS cloud server. 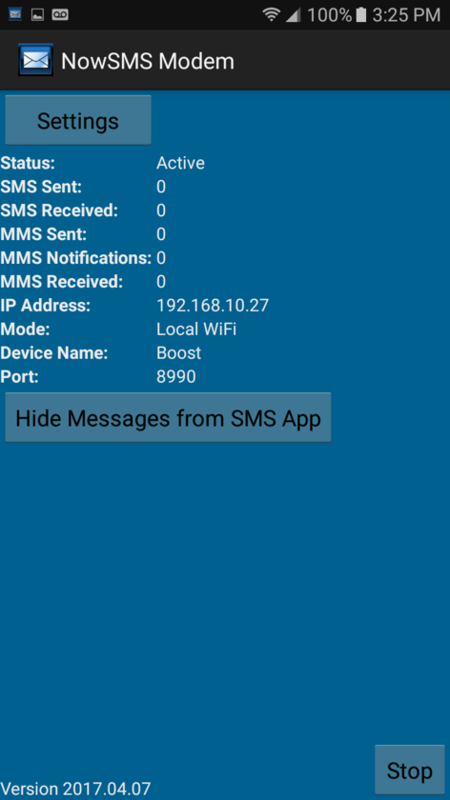 All SMS and MMS messages sent or received by your cloud server are routed through your Android phone(s). All Android phones require a standard SIM card that has been activated with a messaging plan appropriate for your messaging requirements. 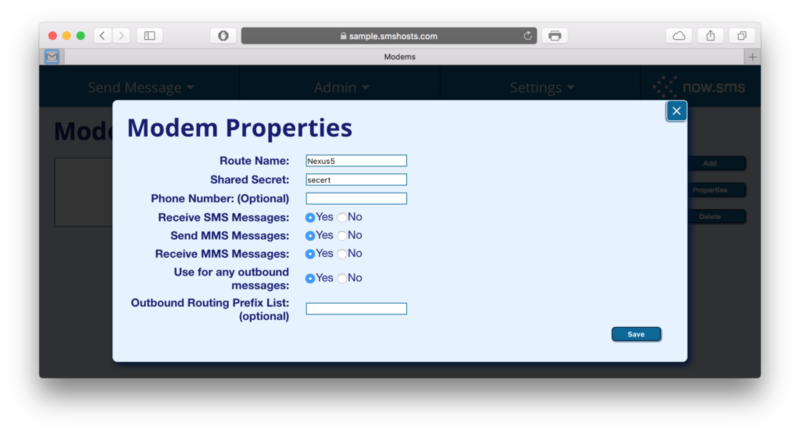 This is a quick and efficient way to create SMS and/or MMS applications. 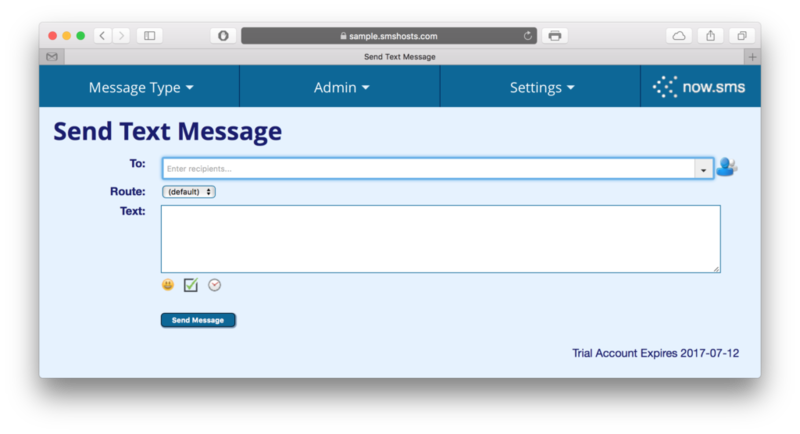 NowSMS allows end users to send and receive SMS and MMS messages via a web interface or via e-mail. NowSMS enables applications to send and receive SMS and MMS messages using standard protocols such as HTTP, SMTP, SMPP, or using API examples for Java, PHP, ASP.NET, VB.NET or C#.NET. 3.) Web Browser with internet connectivity. It is also important to note that the NowSMS Modem software may cause the battery of the Android device to be used more quickly. This is because NowSMS keeps a data connection active so that the device is available when messages need to be sent out. In most configurations it is expected that the Android phone will be connected to a power source at all times. 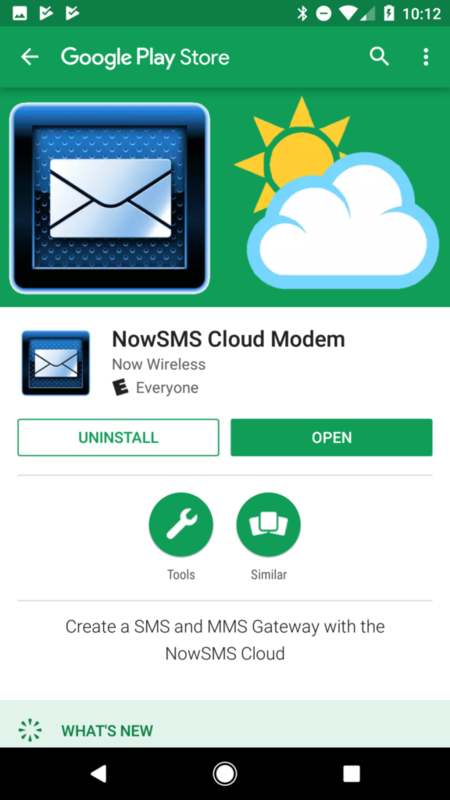 Step 1: If you do not already have a NowSMS Cloud account, go to https://www.nowsms.com/cloud and request a free 14-day trial. When your account is activated, you will receive an email that contains a link to the NowSMS Cloud account, and an activation code. Click on the link in the email to begin the activation process. The Activation Code should be pre-filled. You will be prompted to provide a User Name and Password for your account. The user name defaults to your email address, but can be changed. 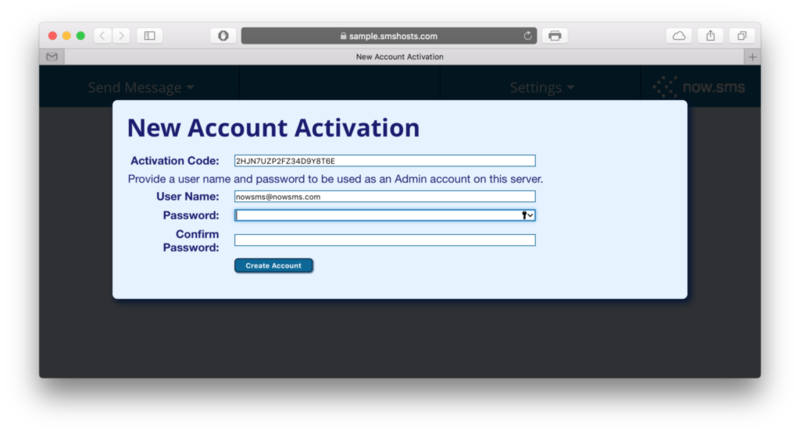 After activation, it will be possible to define additional accounts, if needed. You will then be prompted to connect an Android device. 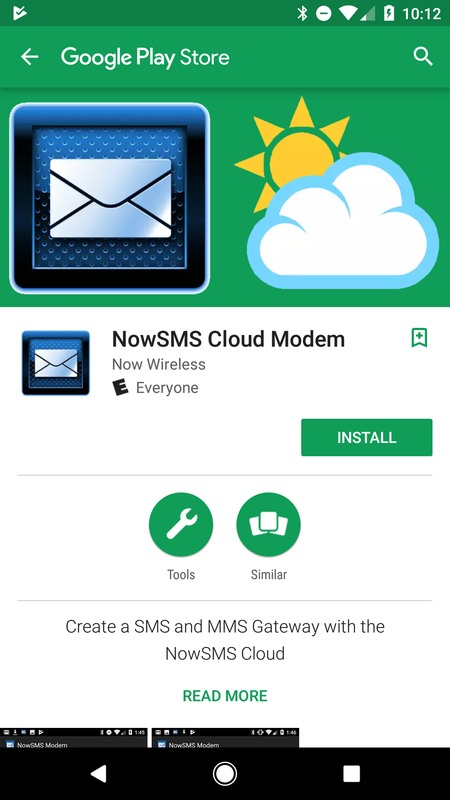 To continue setup, it is necessary to install the NowSMS Modem App on Android device, and configure this app to connect to the displayed Cloud Server ID. 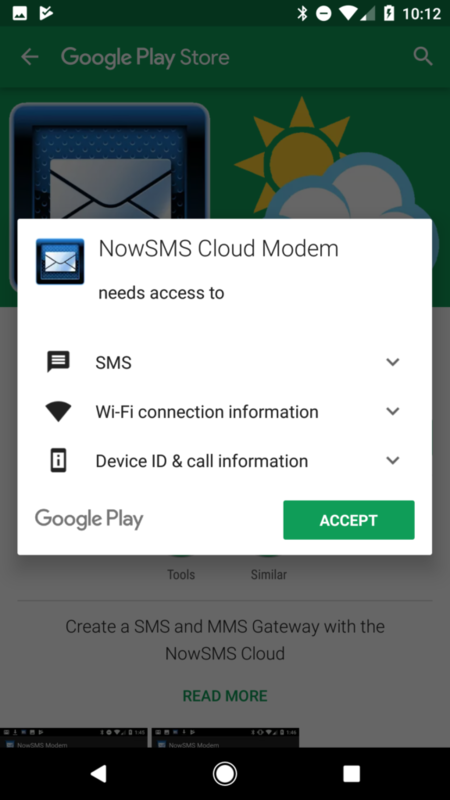 Step 3: Complete the installation of the NowSMS Modem App by selecting to Accept (or Allow) the requested privileges. Step 4: Select the option to Open the App after it is installed. Step 5: On most Android devices (4.4/KitKat and later), an extra settings button will be displayed: Hide Messages from SMS App. Step 6: On the Android Device, under Settings, configure this Cloud Server ID to match the ID that was displayed in the NowSMS Cloud login. 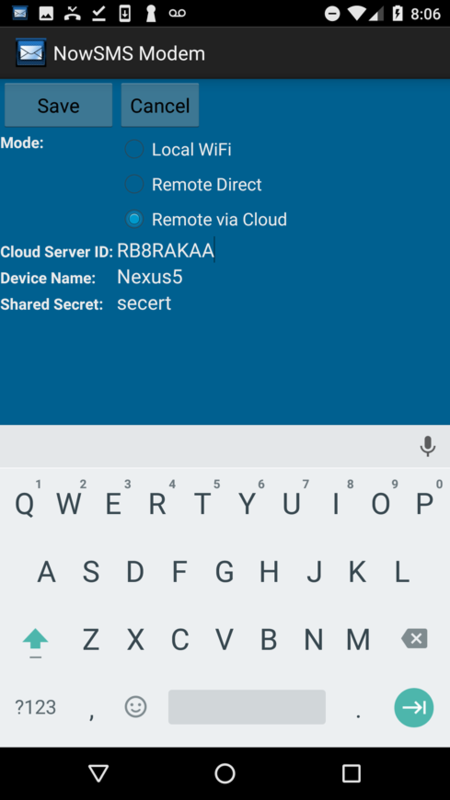 Configure the same Device Name and Shared Secret in both locations, and press the Save button in the Android app. 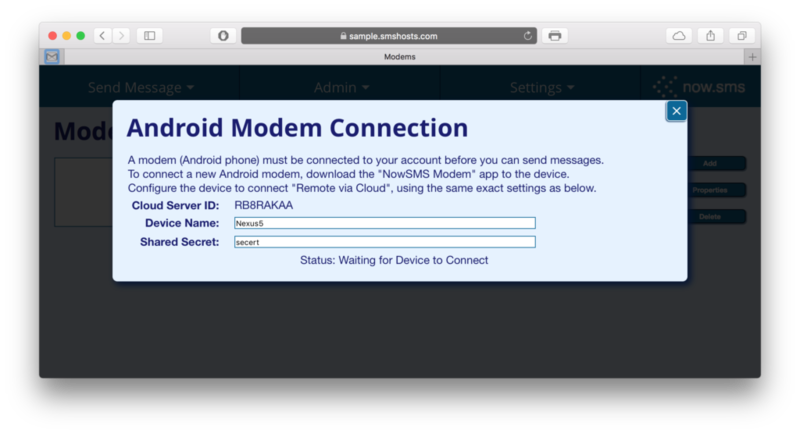 Step 7: When the NowSMS server confirms that it has connected with the device, it will display a confirmation message. 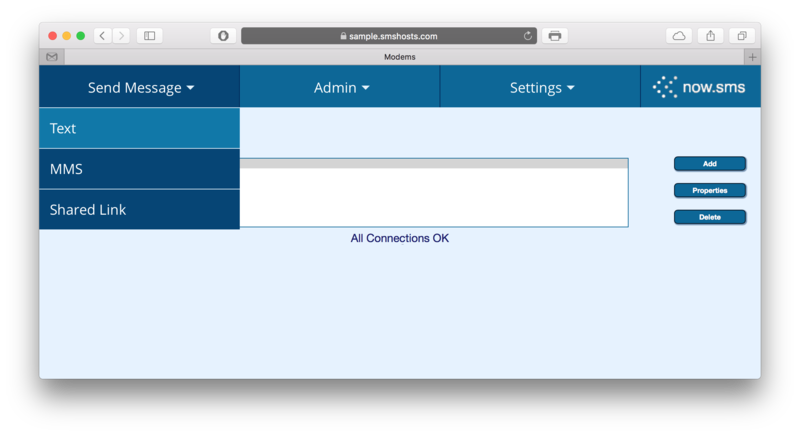 Next, the device connection properties will be displayed. Press Save to complete the modem configuration. 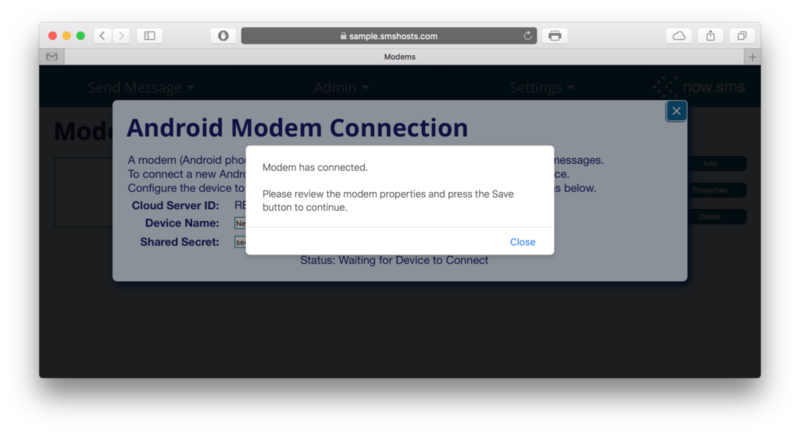 Step 8: To verify the connection is working, use the menu to navigate to the Send Text Message page, and attempt to send a message.